Here are some photos from Halloween. 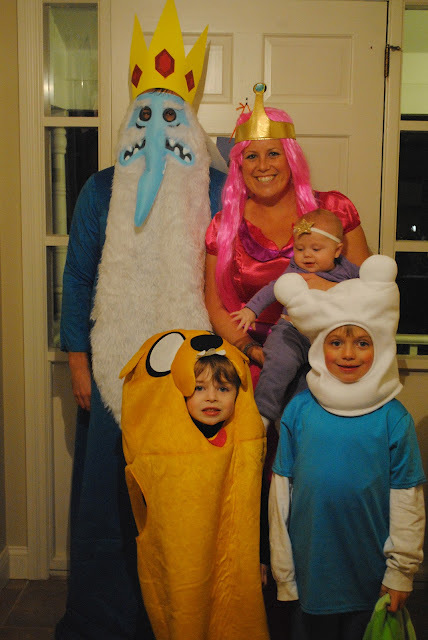 Krissy and family were all the characters from Adventure Time. I think I know all the names. Jason was the Ice King. Krissy was the Pink Princess (not sure on that one), Breslyn was LSP or Lumpy Space Princess. Austin was Jake and Ryan was Finn. 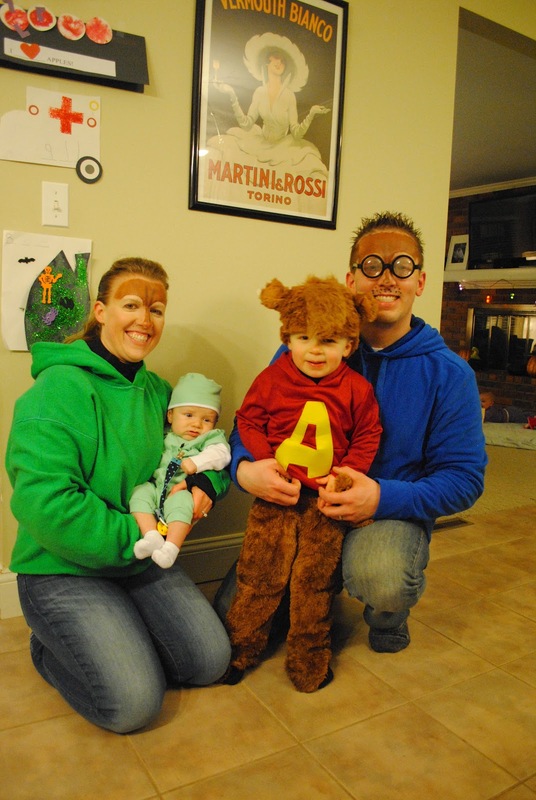 Caity and family were Alvin Simon and Theodore. 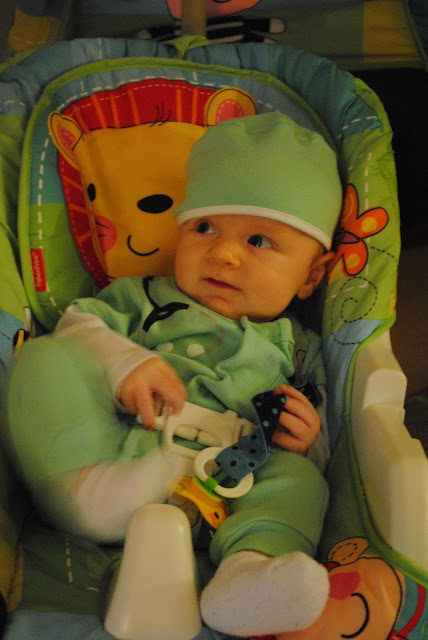 And Logan came as "Dr. Logan". I think he was originally supposed to be Dave Seville, but it was just a lot easier to put this cute little doctor's outfit on him. And anyway...how do you dress up as Dave Seville. Here are the cousins getting ready to go trick or treating. And finally, here are the little cousins interacting for the first time. I can't help feeling that Logan's got years of being bossed around by his slightly older cousin. And he is going to love every minute of it. 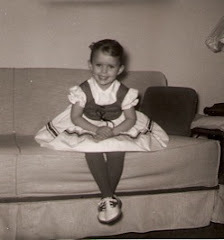 Hope you all had memorable Halloweens with lots of great photos. what fun costumes! I don't know adventure time at all, but recognize these guys from a tshirt my daughter has. Love that photo of the babies. that must have been interesting for them!